Austin Millz is prolific on Soundcloud, his page is littered with remixes of artists like PartyNextDoor and Drake as well as original instrumentals and mixes. However this is the producer's first time appearing on HotNewHipHop. Nonetheless it's a welcome debut, with the futuristic "Illusion." 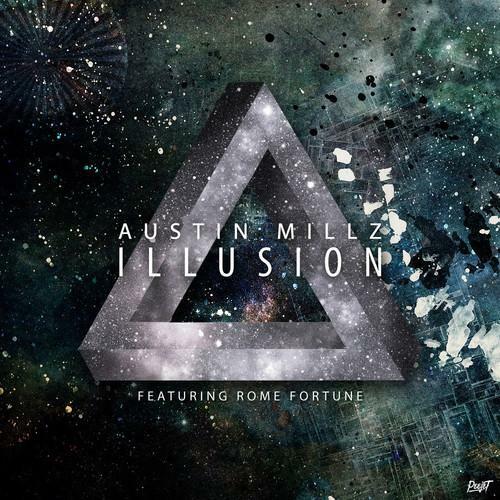 Austin Millz nabbed Rome Fortune to take care of vocals on his new single, and it's the perfect fit, with Rome often choosing spaced out and synth-riddled productions for himself. The song is a leak off the Harlemite's upcoming mixtape Searching For Gotham, which is also slated to feature OG Maco and others. It drops on January 29th.